The John F. Kennedy Center for the Performing Arts announced the five “honorees” at its 37th annual ceremony held last Sunday. 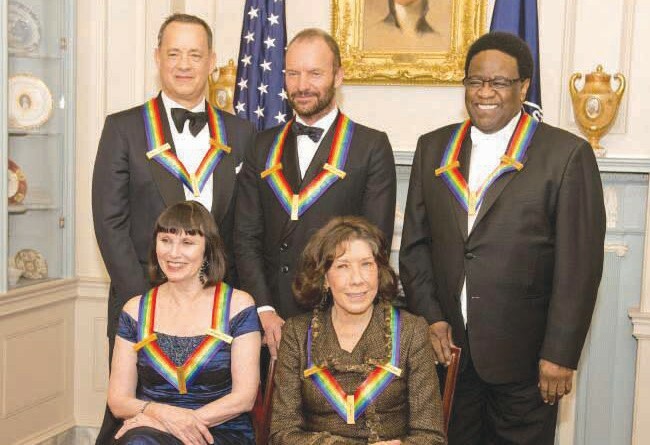 The honorees are singer Al Green, actor and filmmaker Tom Hanks, ballerina Patricia Mc- Bride, singer-songwriter Sting, and comedienne Lily Tomlin. The artists are chosen because they have, in Kennedy Center Chairman David Rubenstein’s words, “Elevated the cultural vibrancy of our nation and the world.” The evening gala included performances and tributes and follows a special ceremony with the president at the White House. The Honors are broadcast Dec. 30 on CBS.